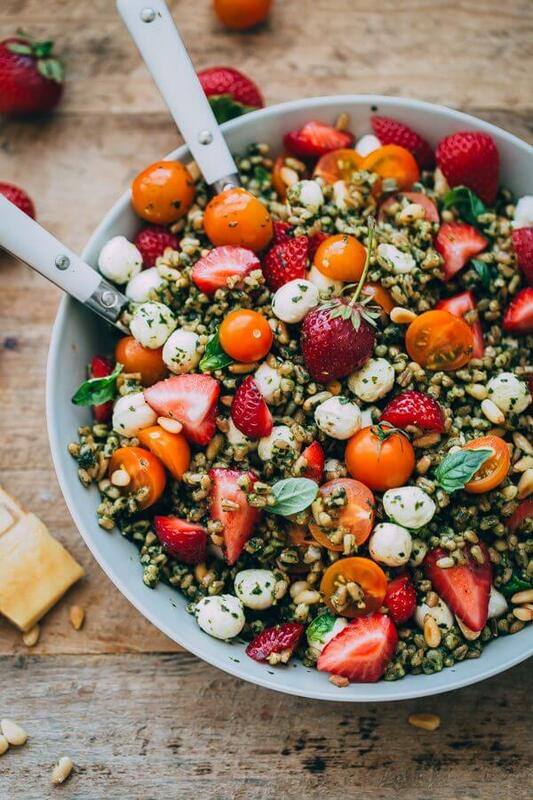 Strawberry caprese farro salad. 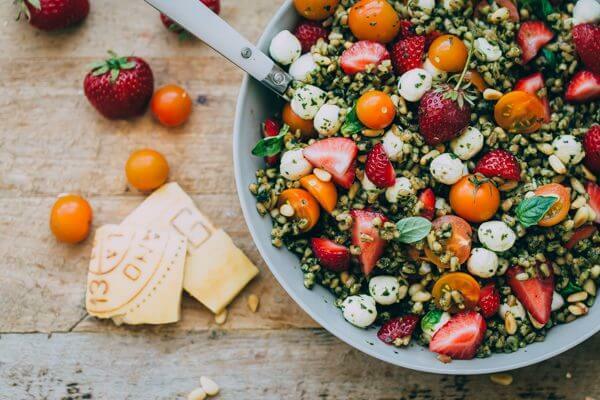 Farro is tossed with homemade pesto, strawberries, tomatoes, and mozzarella to create a healthy summer farro grain salad. This post is sponsored by Driscoll’s. This summer could be summed up in a few words: farmer’s market visits, long walks with Marley, and minimal cooking. As many of you have probably noticed, I’ve been (unintentionally) quiet these past few weeks. 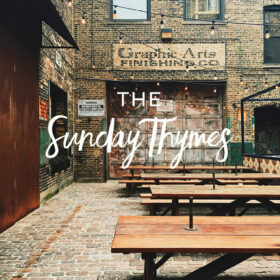 My only excuse, if I can even call it that, is that I’m taking full advantage of Chicago summer and all that it entails. I’m taking time to reflect, recharge, and brainstorm new content, and think of ways to keep this space fun, exciting, and fresh. Today’s farro recipe was directly inspired by my latest farmer’s market visit. We’re lucky to live within a few blocks of our neighborhood market, and I’ve been single-handedly buying out all of the fresh basil and sungold tomatoes from one stall. I’ll make big batches of pesto in my food processor and use it on everything: omelettes, salads, meat and seafood, or grilled vegetables. Any leftovers are frozen for last-minute weeknight meals or easy pasta dinners. In an effort to mix things up, I looked to a classic caprese salad and this peach burrata salad (one of my all-time favorite summer salads!) as inspiration. 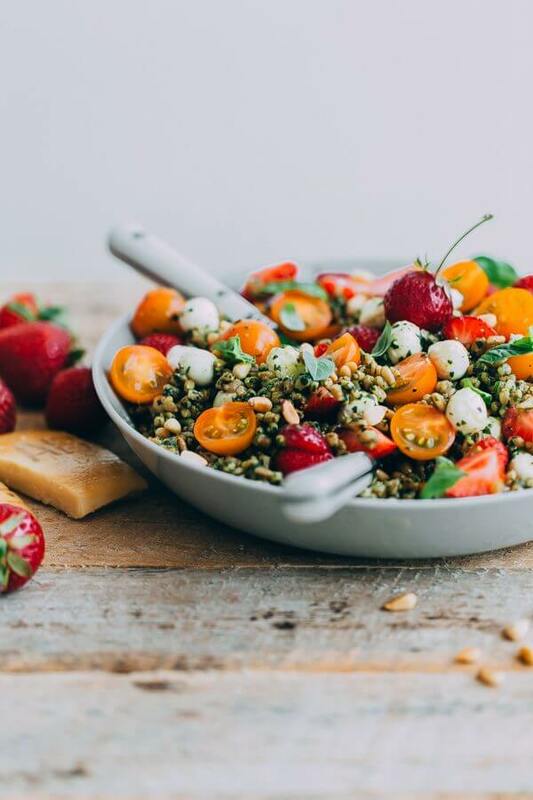 This vibrant farro grain salad features my favorite summer ingredients: basil, fresh strawberries, and tomatoes. 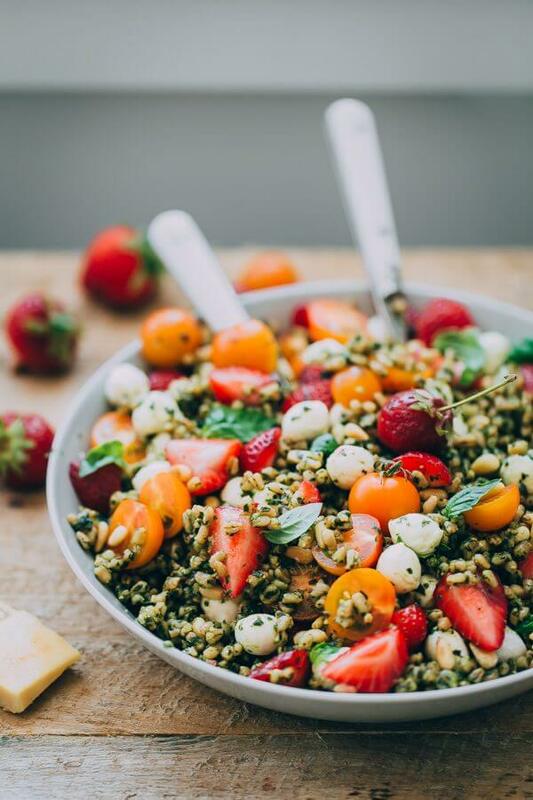 Think of this strawberry caprese salad as a slightly sweeter, summer twist on this spring wheat berry salad that I shared a few months ago! 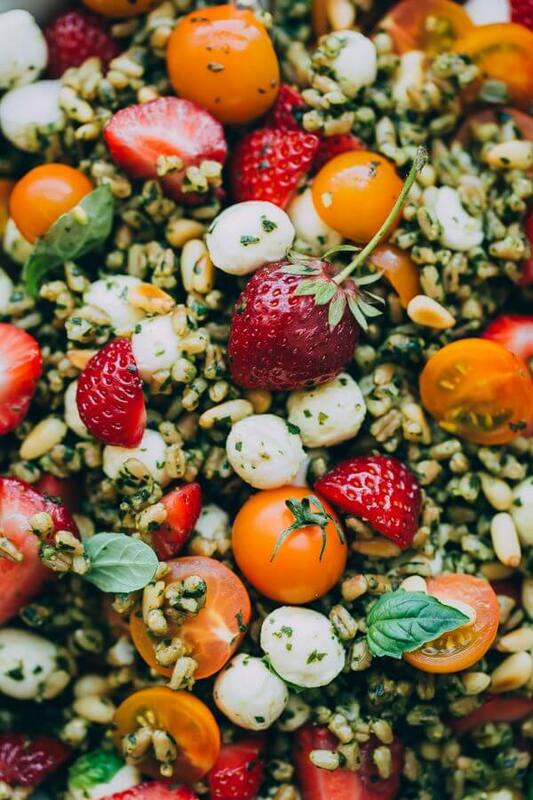 Nutty farro grains are tossed with homemade basil pesto and juicy Driscoll’s strawberries, mozzarella pearls, and sungold tomatoes. 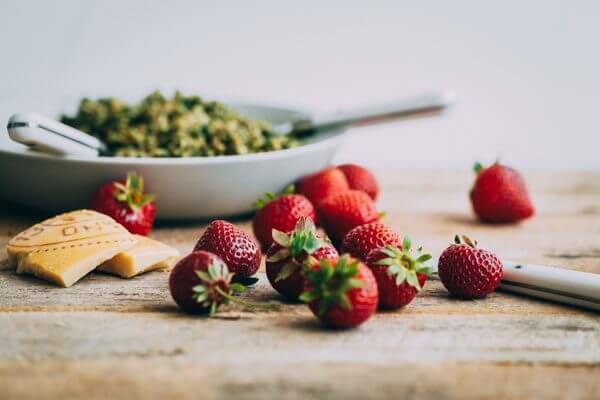 The strawberries add a touch of sweetness to every bite, pair wonderfully with the basil, and add wonderful color to this dish. Red, juicy berry jewels, if you will! It took me nearly 25 years to get behind the idea of adding fruit to my salad, and I’m so glad I got over that hump. THESE COLORS! Health in a bowl. I can’t get over them. Guys, this is what summer is all about! Italian farro can be cooked in less than 30 minutes, which is ideal for quick or weekday preparations. You are welcome to use more affordable (slightly chewier and nutty) wheat berries as an alternative. They are fairly interchangeable in most recipes – just adjust the cooking time as necessary. The best part is that this farro recipe can be used as a springboard for any number of recipe variations. Don’t have sungold tomatoes? Leave them out. You’re welcome to use prepared pesto for this salad too, just make sure it is a pesto that is very light on garlic. Not a fan of mozzarella? 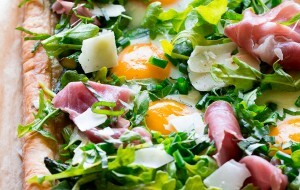 Substitute it with shaved parmigiano-reggiano cheese. Want more sweetness? Drizzle the salad with balsamic glaze. 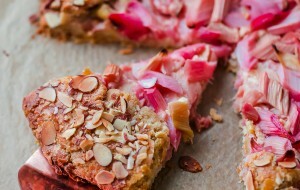 Summer cooking is all about improvising and going with the flow – so go with it! Fill a medium saucepan with cold, salted water and bring to a boil. Add the rinsed farro, stir, and cook for 25 to 30 minutes or the farro is tender and cooked through. Drain the farro in a fine-meshed sieve and spread into a thin layer onto a clean sheet pan (alternatively, you can place it in a large mixing bowl – the goal is to cool the farro quickly). Cool completely at room temperature, or place in the refrigerator for 10 to 15 minutes to speed this process up. As the farro is cooling, prepare the pesto. In a large food processor, pulse the garlic until finely minced. Add the basil leaves and pine nuts, and pulse until coarsely chopped, scraping down the sides of the bowl as necessary. Slowly pour in the olive oil, processing until mostly smooth. Stir in the parmigiano-reggiano. Season to taste with salt and pepper. Hull and quarter half the package of strawberries. 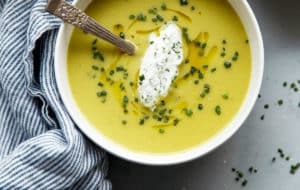 Once the farro has cooled, place in a large mixing or serving bowl and generously toss with the pesto until evenly coated. Add the strawberries, mozzarella pearls, and tomatoes and toss gently. Season to taste with salt and pepper. Serve at room temperature. 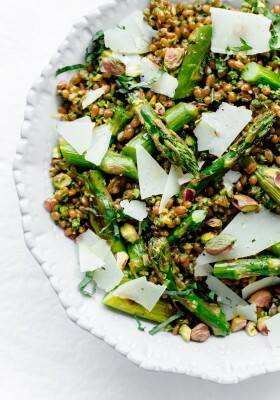 Farro and pesto can be prepared 1-2 days ahead and refrigerated until ready to serve. 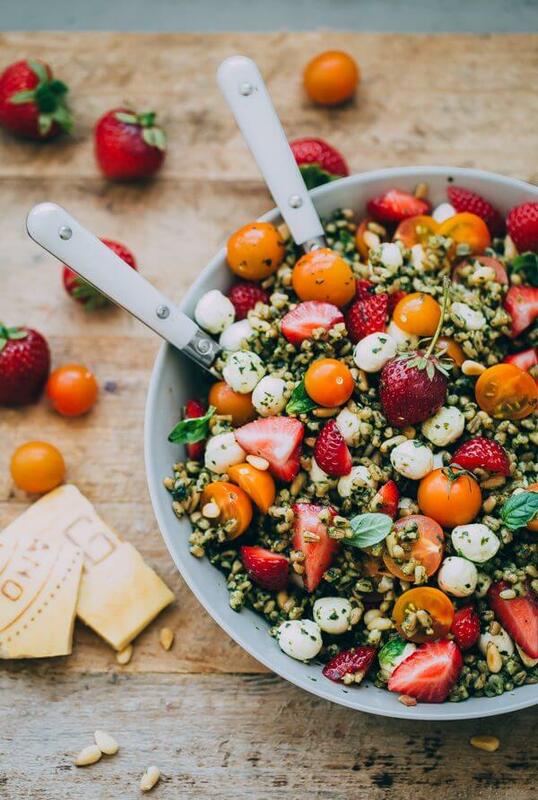 If you are preparing this ahead of time, I recommend adding the strawberries, tomatoes, and mozzarella just before serving to maintain their freshness. I love using these small mozzarella pearls for summer salads, but you can also use traditional bocconcini and cut it into small, bite-size pieces. This recipe post is sponsored by Driscoll’s. Visit Driscoll’s website for more berry recipes and to enter to win the Sweetest Berry Sweepstakes at Driscolls.com. Thank you for supporting brands that I love and use in my kitchen! Exactly! I totally agree. There’s always time for work, but only a few short months of enjoying the best weather and taking it a bit more slow. Thanks so much Abby! Love your motto of going with the flow enjoying summer, YES!! And um, this salad is perfection! What an interesting combination of flavours! 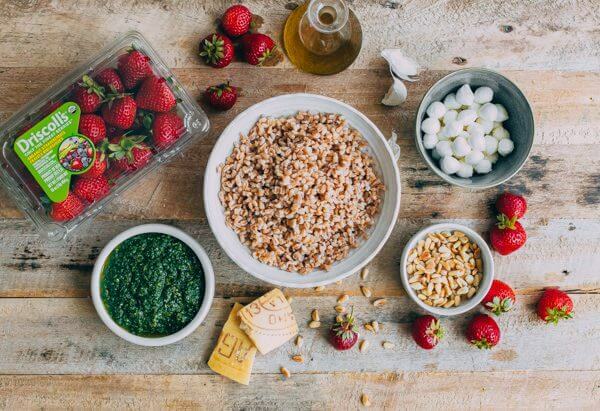 What is farro exactly? Not familiar with it. Sorry for just getting back to you Paula! It’s a whole grain, similar to wheat berry but a bit less chewy. It has been grown in Italy for a long time, and started making its way over the US several years ago. It’s a bit trickier to find than other grains, but I’ve had luck at most grocery stores these days (and its in bulk bins too sometimes). Hope that helps! 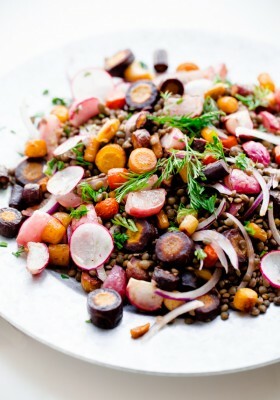 Farro is one of my all-time favorite grains, especially for salads! I love all the flavors going on here, looks wonderful! 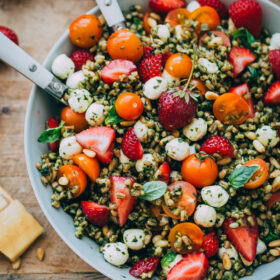 This was hands down fantastic…if you cheat and buy your pesto (the pesto from Costco is great), this is a 15 minute meal people…my farro only needed to cook for 15 min according to pkg directions – I was able to chop tomatoes/strawberries in that time. I also toasted a few pine nuts in the oven while the farro was cooking and topped the salad with these. Such fresh and fun flavors – beautiful color…wow. Made a double batch for a group of 8 for book club and had very little left over. To please all appetites, I put out a mix of spinach/arugula and made a few chicken breasts that I had marinated in pesto for about 12 hours. People put the salad on a bed of greens and topped it with a little shredded chicken – yum! 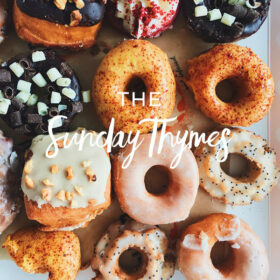 Creative and fun recipe, loved it! Laura, this salad looks sublime! 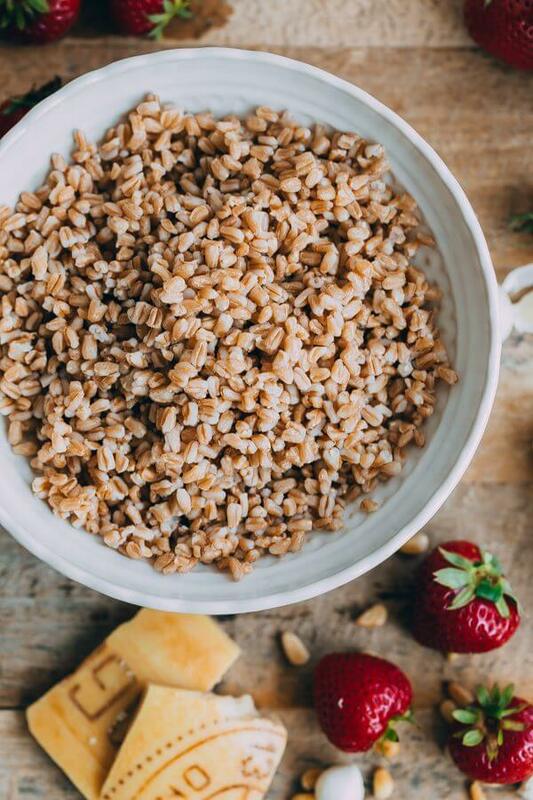 Farro is my favorite grain and I am ever searching for everything and anything I can do with it. 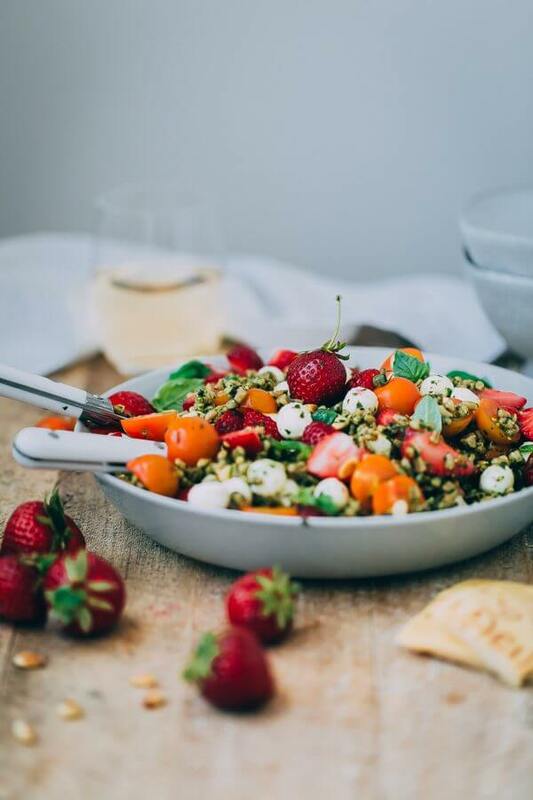 The combination of strawberry and pesto is cosmic – thank you for the perfect summer salad inspiration. I just made this and it was delicious! I added a little fresh mint and lemon to the pesto which made all the difference! Ohhh! I love that addition! I might put that in the recipe notes as a suggestion. Thanks so much Katie! This was fantastic!!!!! Thank you so much! Yay! So happy to hear that. Thanks for the feedback Kimberly! Really appreciate it, and I know other visitors do too. Am I missing when to add the cheese? Andrea, which cheese are you referring to? The parmesan is stirred into the pesto, and the mozzarella pearls are tossed with the salad! You might have missed it when you first looked at the recipe? Would a substitute like brown rice work in this?